The BJP will pay a price because of the internal strife that has hit it ahead of the Lok Sabha polls, veteran party leader Jaswant Singh said Sunday.Denied a BJP ticket to contest from Barmer in Rajasthan, Jaswant Singh told IANS that there will be "repercussions" because of the many differences that have come to the fore in the party. "The leadership of the party needs to reflect deeply on the reasons why this situation has arisen," the Lok Sabha MP from Darjeeling in West Bengal said over telephone from Rajasthan. "There are differences in the party which have come to the surface. So there are bound to be repercussions. The party will have to bear this effect," added the former external affairs minister.Jaswant Singh, who Saturday urged activists to differentiate between the "real BJP" and "fake BJP", Sunday told IANS: "BJP members should introspect how the party has failed in its responsibilities. "Party leaders have forgotten their responsibilities, ideals and obligations towards the people and to the party," he said, without taking any names. But his criticism is widely known to be directed against Gujarat Chief Minister Narendra Modi, the party's prime ministerial candidate. 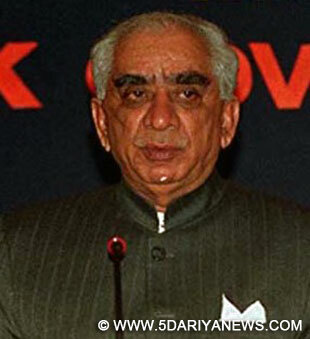 Modi has not reacted to the Jaswant Singh development.The denial of ticket to Jaswant Singh, who for years has been one of the better known leaders of the Bharatiya Janata Party, has fuelled widespread anger in Barmer.Jaswant Singh is said to be preparing to file his nomination from Barmer Monday, perhaps as an independent.BJP leader Sushma Swaraj, who heads the opposition in the Lok Sabha, has protested against the denial of ticket to Jaswant Singh.Until he was nominated for re-election from Gandhinagar in Gujarat, it was widely speculated that party patriarch L.K. Advani might opt to contest from Bhopal in view of alleged differences with Modi.